At WHOOP, we are on a mission to unlock human performance. We measure the body 24/7 and provide detailed analytics to our members regarding strain, recovery, sleep, HRV and more. Our clients range from the best professional athletes in the world, to Navy SEALs, to fitness enthusiasts, to Fortune 500 CEOs and executives. The common thread among WHOOP members is a passion to improve. What does it take to optimize performance for athletes, for executives, for anyone? We’re launching this podcast to dig deeper. 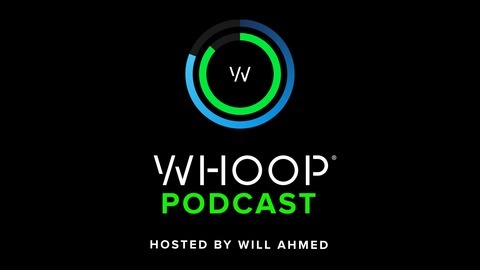 WHOOP Founder & CEO Will Ahmed interviews a variety of athletes, experts and industry leaders. Kate Courtney, Mountain Bike World Champion, shares everything she’s done to reach the pinnacle of her sport. Defending mountain bike world champion Kate Courtney talks about her intro to the sport (3:10) and incredible rise to the top (8:06), her love of data (11:37) and meditation (15:45), recovery as a life skill (21:52), fueling with waffles (23:57), training and functional overreaching (28:37), her nap routine (35:18), workouts in the gym (39:01) and not fearing strength on the bike (44:08), pre-bed recovery (49:48), sleep habits and environment (57:39), travel advice (1:08:54), a typical day's strain (1:10:51), and her biggest goal going forward (1:18:57). WWE Universal Champion Seth Rollins, Cesaro, and Coach Josh Gallegos on competing for the best WHOOP data, how it helps them adapt their training, and what really happens when they get in the ring. The Circadian Rhythm Sleep Hack: Kristen Holmes and Emily Capodilupo discuss the benefits of Sleep Consistency. 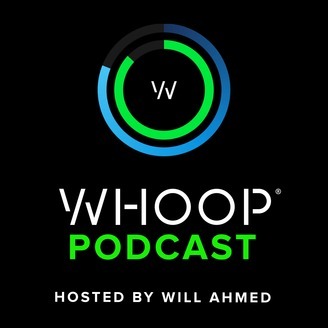 Mike Mancias, trainer to LeBron James, discusses the role recovery plays in keeping his athlete on the court, and why he's been "all-in" on WHOOP since the beginning. Brandon McDaniel, a Director of Athletic Development & Performance Science in Major League Baseball, talks training methodology, gameday preparation, and how his organization uses WHOOP data.